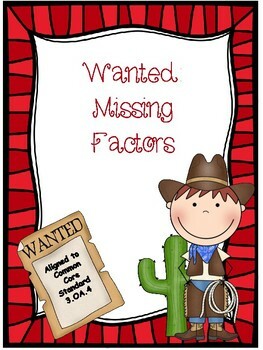 Classroom Freebies Too: Wanted - Missing Factors Freebie! Wanted - Missing Factors Freebie! Help! Sheriff Sam needs your help! That low-down dirty rotten scoundrel, Billy the Kid has stolen factors out of these multiplication problems and it is your job to round them up! Visit my blog An Apple for the Teacher to download your freebie!